New York City Ballet principal dancer Tiler Peck has signed on to repeat her celebrated performance in the title role of Marie, a new musical set to appear at Seattle's 5th Avenue Theatre from March 22 through April 14, 2019. Peck originated the role in the 2014 run of the show, originally titled Little Dancer, at Washington, D.C.'s Kennedy Center. The musical is directed and choreographed by Tony winner Susan Stroman with music direction by Shawn Gough. The Seattle production will also feature a slate of stage veterans, including Tony nominee Terrence Mann (Pippin) as Edgar Degas, Tony winner Karen Ziemba (Prince of Broadway) as Martine Van Goethem, Tony nominee Louise Pitre (Mamma Mia!) as Adult Marie, Tony nominee Dee Hoty (Bright Star) as Mary Cassat, Jenny Powers (Grease) as Antoinette Van Goethem, Christopher Gurr (Spamalot) as Corbeil and Noelle Hogan (Fun Home) as Charlotte Van Goethem. Kyle Harris (West Side Story), who created the role of Christian in the Kennedy Center staging, will also reprise his work in the musical's Seattle premiere. 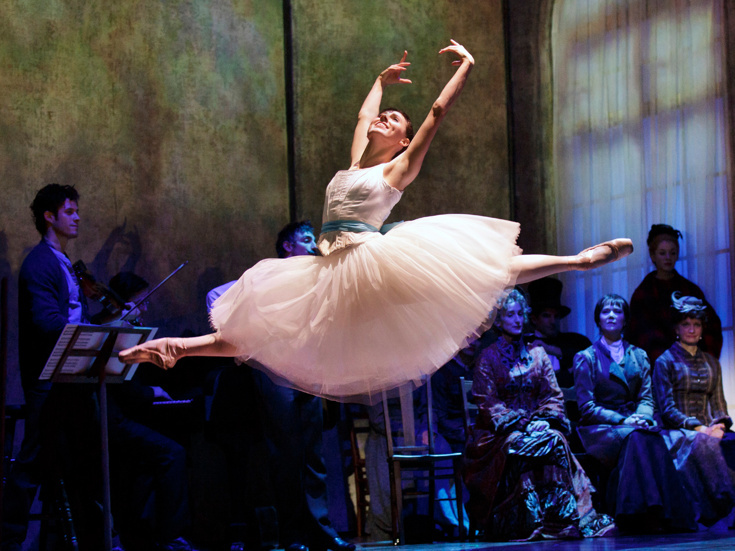 Featuring a book and lyrics Lynn Ahrens and music by Stephen Flaherty (Anastasia), Marie is based on the true story of a young ballerina who, after posing for Edgar Degas, became the most famous dancer in the world. Marie will feature scenic design by Beowulf Boritt, costume design by William Ivey Long, lighting design by Ken Billington and sound design by Kai Harada.